Fast and reliable protection from an ultra easy to conceal, compact self-defense knife. 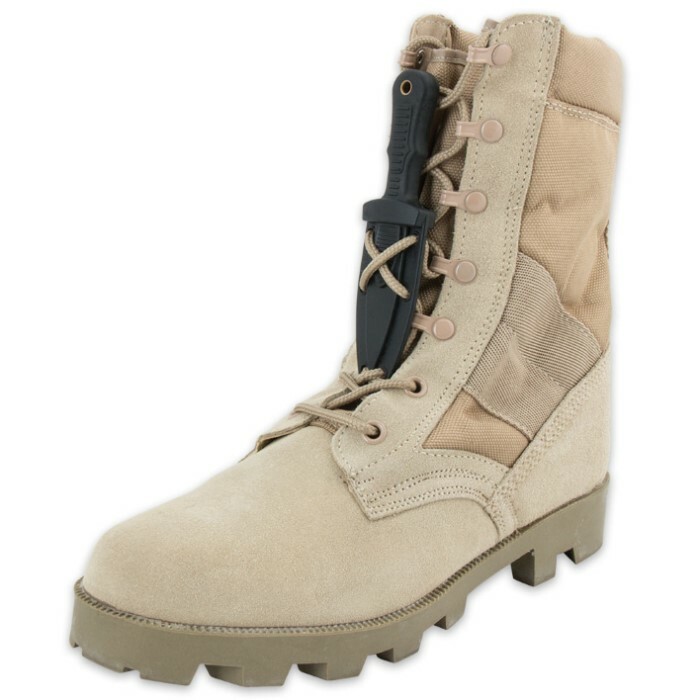 These "mini boot knives" hide discreetly within reach at all times. 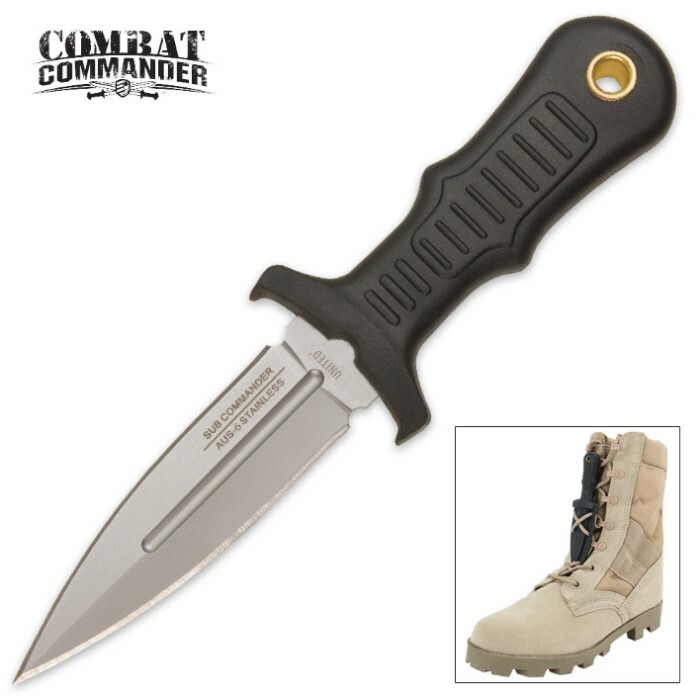 Features include the sharpened AUS-6 stainless steel blade with center blood groove and hard sheath. The handle is constructed from injection molded impact resistant TPR with a brass lanyard sleeve. 2 1/2 in. blade, 5 in. overall.